The laws and regulations around hazardous materials can seem daunting at first. Greenlight is your roadmap and guide to asbestos and hazardous material safety whether in the home or in the workplace. In most cases your compliance requirements or safety needs can be addressed with an inspection and report or air monitoring where required. If further actions are needed we can recommend independent and vetted contractors to address any safety concerns. Thank you for your enquiry. One of our consultants will be in touch with you shortly. 5) Are full members of the Safety Institute of Australia. How to conduct asbestos assessments associated with friable removal works. 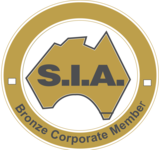 Greenlight maintains corporate membership with the Safety Institute of Australia. Our reports are easy to read and to take action on; they will include easily communicated colour coding of hazards along with in-line photos with hazard assessment information. As appropriate, we will make management recommendations for each entry so that your next steps are clear. These actions are presented alongside our hazard assessment entries - Finally, no more flipping or scrolling back and forth between sections of a confusing report. Our assistance does not stop with our reporting. A professional consultant will be on-hand to talk you through any issues or required actions and can provide you with pricing from independent and vetted contractors for project management of any issues requiring action. So many consultancies fall short of the reporting requirements for legal defensibility and even basic comprehension - ensure you receive a quality report by a qualified professional and call us today.